Department of Computer Science and Information Engineering Tamkang University , 151, Ying-Chuan Road ,Tamsui Dist., New Taipei City Taiwan 25137, R.O.C. Ren-Junn Hwang received his Ph. D. in Computer Science in 1998 from National Chung Cheng University, Chiayi, Taiwan. He worked as a professor of the Department of Computer Science and Information Engineering at TamKang University, New Taipei City, Taiwan. Pro. Hwang also serves as the Secretary-General of The Chinese Cryptology and Information Security Association since June 2012. Pro. Hwang is a member of IEEE, IEICE and the Phi Tau Phi Society of the Republic of China. 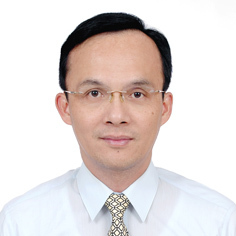 His research interests include network security, computer cryptography, mobile network security, Ad hoc network security, Cloud computing security. Professor Ren-Junn Hwang handles review of manuscripts that are submitted under the following topics.